I am pleased to be part of Bridget Asher's The Provence Cure for the Brokenhearted blog tour with TLC Book Tours. If you've ever lost someone and tried to pick up the pieces, you'll immediately feel a connection to Heidi. It's been two years and things are still not anywhere close to right in her world. She's lost her passion, her car keys and her way, so returning to her roots seems like the right ting to do. I have to say that while I felt the connection to Heidi right away, I had to fight a little in the first third of the book to keep going - there was a ton of back story and information provided and it made the beginning of the book tough. Once you have an understanding of where everyone is going, it turns itself upside down and I fell deeper in love with the book and the characters. The setting is breathtaking and the author paints such a strong picture with her words that you can see yourself standing in Provence with the characters. This is another book that should go on your Summer Reading list! 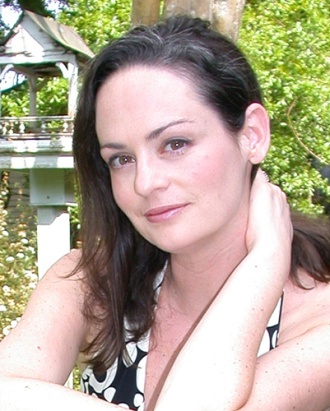 Critically acclaimed, bestselling author Julianna Baggott also writes under the pen names Bridget Asher and N.E. Bode. She has published sixteen books over the last ten years. Her latest novel, The Pretend Wife, written under the pen name Bridget Asher, was published in June 2009. Her first Bridget Asher novel, My Husband’s Sweethearts has sixteen overseas editions. In spring 2011, Random House will publish The Provence Cure for the Broken-Hearted, with another Asher novel under contract. She lives in Florida with her husband writer David G.W. Scott and their four kids, and is an associate professor at Florida State University’s Creative Writing Program. In 2006, Baggott and her husband co-founded the nonprofit organization Kids in Need – Books in Deed, that focuses on literacy and getting free books to underprivileged children in the state of Florida.